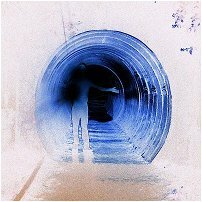 Gregg Plummer is an ambient artist hailing from California in the USA. His music crosses several genres, among them atmospheric, ambient soundscapes, eclectic experimental, relaxation and easy listening, contemplative drone, and space music. "For as long as I can remember, I've been creating my own soundscapes, plinking out mysterious chords on the piano or strumming odd patterns of sound on the guitar or keyboard. Since childhood, I've dreamed of creating unsusual, inviting symphonies, mixing harmony with cacaphony, juxtaposing bright beautiful sound with dark haunting drones. "Though I've learned much along the way regarding music theory and "right vs. wrong" techniques to creating music, I tend to ignore these basic principles and just allow my fingers to transcribe and deceipher the thoughts and inspiration that comes to me as gifts from my muses." Gregg is relatively prolific, having released numerous commercial albums. He has also collaborated with several other talented artists and offered his interpretations of their musical voices. Earth Mantra is very proud to bring the music of Gregg Plummer to our listeners, and hopes to hear much more from him in the future.